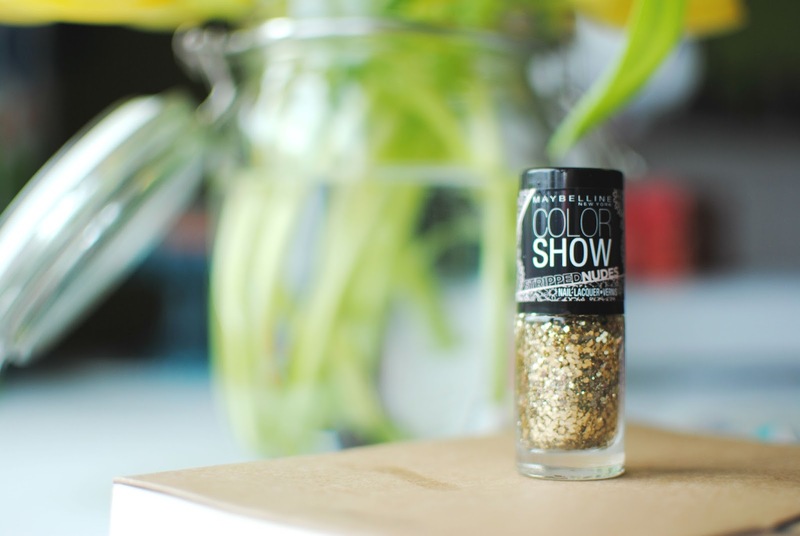 It's not very often that I fall in love with a glitter top coat but the new Maybelline Color Show polish in "undress to impress" is a must buy for any nail enthusiast. 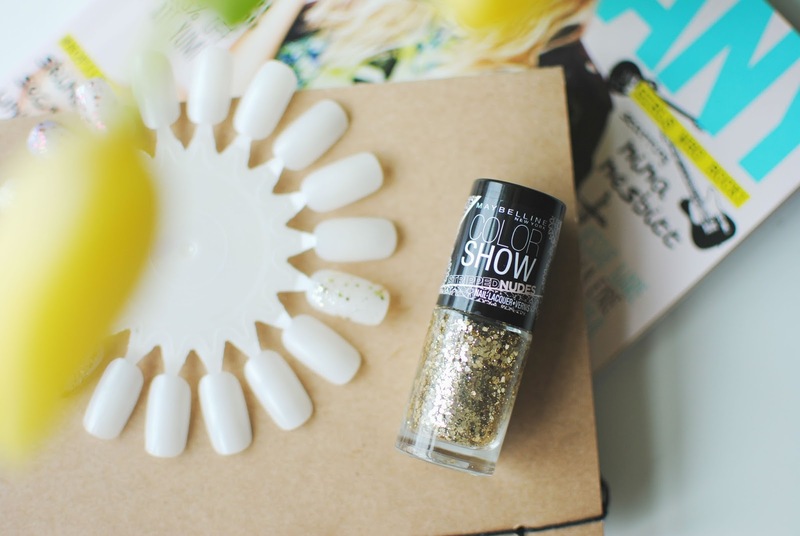 The top coat contains thick and thin speckled gold glitter which looks good on any base nail shade. Unlike some glitter nail polishes this one can't be built up to create an opaque nail of glitter like Barry M glitter shades but this still doesn't turn me off the beautiful top coat. Unfortunately like most glitter polishes it's a toughie to remove which often puts me off painting my nails with a glitter coat. Instead I like to use it for an accent or alternate nail so I don't have the bother to remove the polish. Just a short FYI I am currently not letting myself paint my nails as I never give them a break and they are starting to pay for it so for a whole month I am not letting myself paint my nails which I am already struggling with even just typing this post I want to add that glitter coat all over my fingers, yes I am aware I have an issue. What do you think of the topcoat and any nail care tips ? I love glitter nails butI can never get them off my acrylic nails. I always just do accent nails now when I want a bit of added glitter, I can never be bothered to remove it all otherwise! Good luck with your 'nail polish break'! I feel lost without my nails painted. Oh, this nail polish looks gorgeous. I am not one to paint my nails often, but I want to put this on my nails so badly right now. So darn pretty and sparkly!